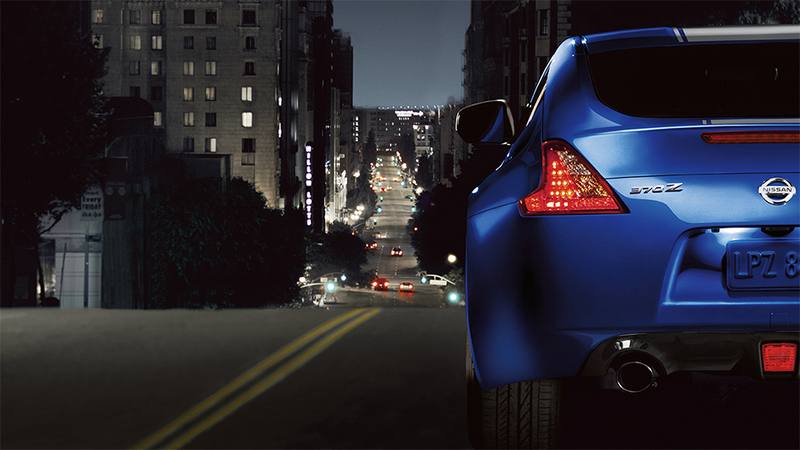 The Nissan 370Z doesn’t just look fast—it is! With a laundry list of performance features, the Nissan 370Z cements itself as a modern day sports car capable of taking on just about any other vehicle on the road or track. Read on to learn about how the Nissan 370Z, available at Edmonton’s West End Nissan, gets the job done thanks to its superior performance features. Performance starts with the engine, so we’d be remiss to not mention the 332 horsepower 3.7L V6 directing the 370Z. Variable Valve Event and Lift (VVEL®) technology optimizes performance as you drive, tuning the valves for lightning-fast reaction—not to mention excellent fuel efficiency. Get as close to that 7,500-rpm redline as you want, because the Nissan 370Z is a finely-tuned machine begging for you to open it up. Now, whether you pair the engine in your 370Z to the SynchroRev Match® manual transmission (our choice), or the 7-speed automatic transmission, you’ll get incredible performance and efficiency. The SynchroRev technology in the manual transmission, which can be turned on or off at the push of a button, monitors a number of factors in order to find the optimal RPM range creating smooth downshifts and even smoother acceleration. While the engine and transmission get the lion’s share of credit when it comes to performance, there are a number of other aspects that make the 370Z such an incredible (and incredibly fun) car to drive. Nissan utilized a three-layer philosophy when creating the interior of the 370Z; the information layer, operation layer, and holding layer. Each of these layers were carefully designed so you could focus your vision on an unobstructed view of the road while still seeing all of your gauges. That way, you could operate the vehicle while still having access to all of the console controls, and experience supreme comfort while driving. The seats in particular, integral to the holding layer, create an immersive driving experience. Heated seats with adjustable lumbar support, not to mention anti-slip material and integrated knee pads, ensure that you could drive your 370Z for hours. And trust us, you’ll want to. There are more aspects that help the Nissan 370Z attain performance perfection, like a short wheelbase and low centre of gravity. But you’ll just have to come by West End Nissan and test drive a 370Z to find out!